When you find that perfect dish for your family and especially kids it’s time to party! 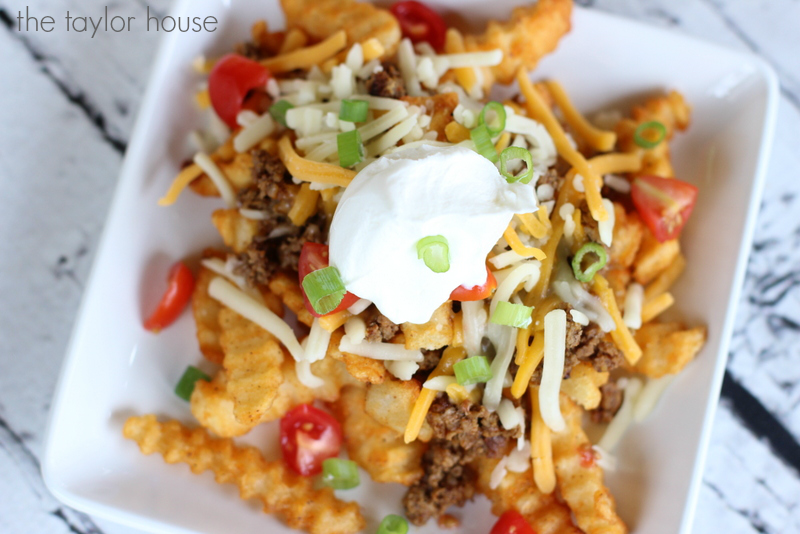 My boys aren’t picky eaters but they certainly have their favorite foods they wish I made more often like these Loaded Taco Fries. My boys have always been a fan of Ore-Ida® French Fries and Tater Tots® but surprisingly after a while they want something a little different with their meals. Instead of cutting out the potato element, I simply made a new and simple Loaded Taco Fires dish for them. It turned out amazing! Step 3 – After the Crinkles are cooked completely but the dish together by layering first the Crinkles, next the meat and then the toppings of your choice. Enjoy! This dish is not only great for my kids but it’s also a fabulous game day recipe. 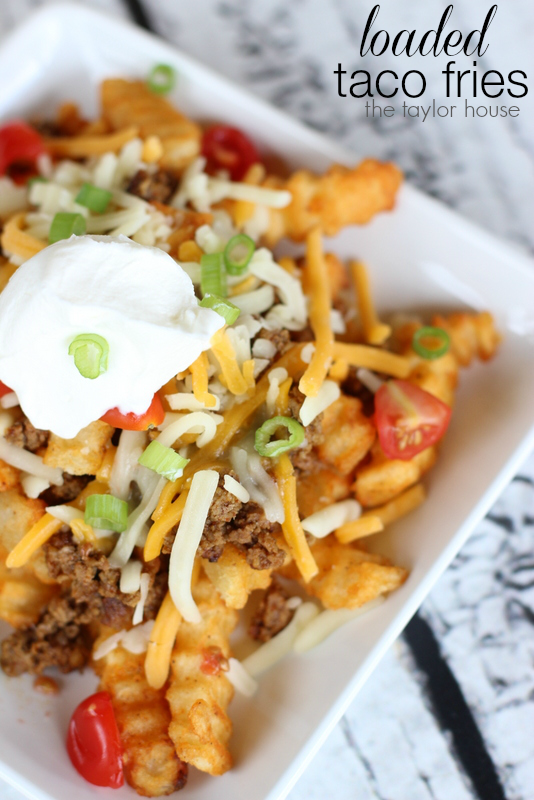 What’s better than loaded fries when you’re watching your favorite football team play? If you don’t like the taco version of loaded fries you could easily make chili instead and create the same delicious type of recipe. Or even have both options available for friends and family and make a French fry bar that’s similar to a baked potato bar. 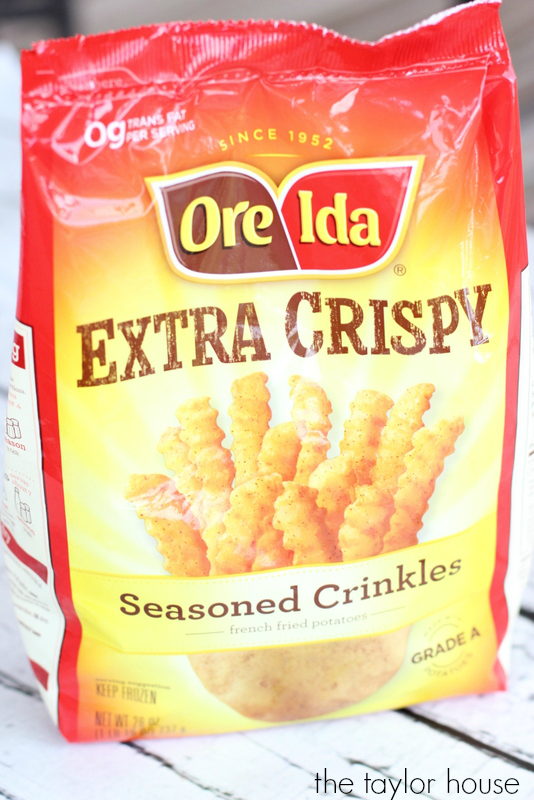 I see lots of fun ideas and meals coming for my family with these delicious Ore-Ida® products! What do you think? Ore-Ida® uses only 100% fresh, American grown potatoes for their French Fries and Tater Tots® potatoes. . It’s quality you can feel good about, and the convenience you need in your busy life. Visit oreida.com for more great recipe ideas and to learn more! These remind me of the carne asada fries I like to get. I will definitely be making these. If it resembles nachos or tacos and is loaded with cheese, I’m going to eat it! Fries!… Wow! I love those fries. Taco fries sounds and look amazing. I LOVE TACOS! Yum yum yum! I love fries any way and any time! This is a meal with fries and that is a huge win in my book! These WILL be made this weekend, and they WILL be in my belly. I need these in my life. I’ve never seen such a delicious version of loaded fries. Awesome. You know, I’ve had cheese fries, chili fries, and chili cheese fries. I’ve never seen taco fries. This is a really great idea. It looks delicious. That’s got to be the best variation of topped fries I’ve ever seen. These look amazeballs. These are right up my and my husband’s alley. I’m totally making these this weekend. Football and taco fries, here we come! That’s amazing! I’ve never seen taco fries before. Where have they been all of my life?! These look delicious. What a great way to dress up your fries. I will have to try this with the kids this weekend. My family would love this so much! My kids are french fry freaks! Oh my these sound good! 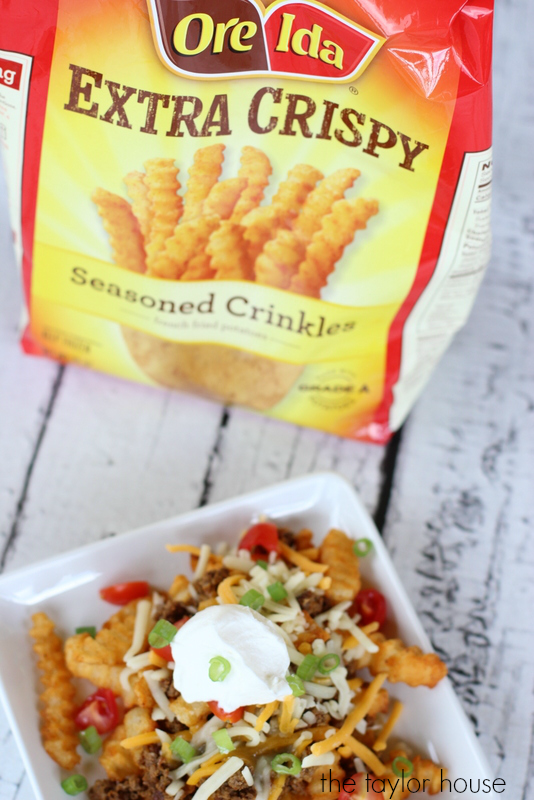 We do something similar with crushed taco shells, never thought to make this dish with fries! Good idea! I make a taco salad that is similar to this. I can not wait to try this recipe. It looks delicious and easy to make. I always include veggies and a salad with every supper i serve.